This disclaimer document governs your use of our online service. By using the website located at www.forexrebate.me and it’s subdirectories, you agree to, and accept this disclaimer in full. If you disagree with any part of this disclaimer, do not use our website, as that condition prohibits you from doing so. Friservice Limited reserves the right to modify these terms at any time, and thus, you should check for changes before proceeding to utilize the services and content of www.forexrebate.me. By using this site after changes have been made to this document, you agree to accept those changes, whether or not you have reviewed them. Friservice Limited assumes no responsibility for errors, inaccuracies or omissions in its materials. Friservice Limited does not warrant the accuracy or completeness of the information, text, graphics, links or other items contained within this communication. Trading forex carries a high level of risk and may not be suitable for all investors. Trading with leverage increases the potential for profit and loss. Before deciding to trade forex, you should carefully consider your financial objectives, level of experience and risk appetite. Any opinions, news, research, analysis, prices or other information contained does not constitute investment advice. From time to time Friservice Limited may promote offers made by third parties at website located at www.forexrebate.me. These offers are the responsibility of the third party. The receipt of third party promotions may or may not reduce the amount of rebate received. ForexRebateME will not be held liable should a third party fail to make payment on bonuses or promotional offers or to fulfill their obligations in any way. If a ForexRebateME client signs up under a ForexRebateME Affiliate client then the rebate received by the client may be reduced dependent on the rebate being offered for the month's trading, i.e. 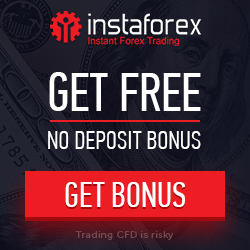 if there is a promotion running for clients for a higher than normal rebate for the month, this won't be accessible to clients who have signed up under a ForexRebateME Affiliate. ForexRebateME Affiliates may be cancelled if it is determined that the purpose of being a ForexRebateME Affiliate is solely to seek higher rebates for friends and family or a small group of people. 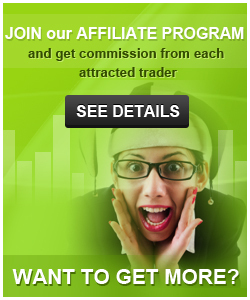 ForexRebateME Affiliates must run an applicable website or service that would warrant being a ForexRebateME Affiliate. The information contained in this website and through communication means, is provided as general information only and should not be considered as advice. Friservice Limited does not accept any liability for any loss directly or indirectly from the use of this information. Friservice Limited pays all its clients according to the rates as listed on the website www.forexrebate.me each day and may be varied depending on the date of joining. These may be amended at anytime by Friservice Limited. Payment of these rebates is conditional upon Friservice Limited receiving the commissions from the third party prior to distribution to our clients. Certain situations may arise that can prevent payment such as, but not limited to: The third party failing to pay, inaccurate information provided by the client. Friservice Limited is under no obligation, under any circumstances, to distribute payments to clients. Friservice Limited will not be indebted to any client or other party for any reason regardless of whether Friservice Limited has received compensation based on actions or agreements made by the client. Client agrees to hold Friservice Limited harmless from all claims and all liabilities, losses, and expenses associated with payments or lack thereof. While Friservice Limited does not charge the client any fees, some fees may be incurred by the client such as conversion fees from USD to other currencies when clients want to receive payment in it, bank fees for wire transfers and electronic payment systems fees. These fees and others may be deducted from the client prior to processing the payment. Actual rebates received may fluctuate from month to month based not only on volume traded, but also on exchange rates, the date you join ForexRebateME, and other factors. Rebates will not start accruing until your account is listed as "Approved" under your ForexRebateME profile. Friservice Limited reserves the right to alter these Terms and Conditions as it sees fit at any time. If you are under 18, please get a parent’s or guardian’s permission before taking part in any ForexRebateME community. By visiting any page at www.forexrebate.me you understand that “adult” content may be encountered that is not suitable for children. You must be at least 18 years of age or have a parent/guardian present while viewing any page or other correspondence or content from the ForexRebateME website, (which includes all content and code from any page hosted at or within www.forexrebate.me, or any content or code relating to or from this site that was transmitted via email or other means). Friservice Limited cannot be held responsible for any harm that is experienced, real or perceived, from viewing, following, or contributing, of any sort of content on this site. You must not use this website in any way which is unlawful, illegal, fraudulent or harmful, or in connection with any unlawful, illegal, fraudulent or harmful purpose or activity. Some content found on the pages of Friservice Limited within www.forexrebate.me and its subdirectories is created by members of the public. The views expressed are theirs and unless specifically stated are not those of Friservice Limited. We accept no responsibility for any loss or harm incurred from the use of this website or any of it’s information or content. Friservice Limited makes no warranty or claim that functions available on this website will be uninterrupted or error free, that defects will be corrected, or that the server that makes it available, nor the content itself is and/or will be free of viruses, bugs, or other malicious code. You acknowledge that it is your responsibility to implement sufficient procedures and virus checks (including anti-virus and other security checks) to satisfy your particular requirements for the accuracy of data input and output, and for the security of yourself and the device used by you to view any content from this website. Friservice Limited and its officers, employees, contractors or content providers shall not be liable for any loss or damage arising from or otherwise in connection with your use of any content, information, function, or service of Friservice Limited at any location within www.forexrebate.me or other related location (such as content feeds, links, emails, letters, documents, and other company products or correspondence). Though we make a reasonable effort to maintain the resources of this website, they will, from time to time, become out of date, be incorrect, erroneous, or otherwise inappropriate. As noted above, by using this website you agree that you will not follow any instruction, suggestion, step, list, tutorial, or other content on this website or any of its content posted elsewhere untill you have appropriately consulted with a licensed professional who is unrelated to this site.